It may be a zombie bite, a rival group's attack, or just a lone walk toward the great unknown. 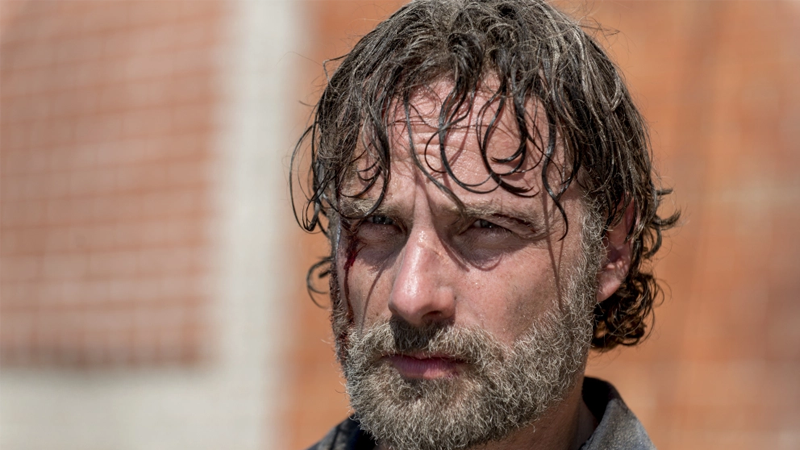 No matter what you call it, Rick Grimes will soon be gone from The Walking Dead. Several news outlets are reporting that Andrew Lincoln will be exiting the series sometime in season nine. Entertainment Weekly has independently confirmed a report from Collider that Lincoln is ending his years-long run on The Walking Dead next season (we reached out to AMC but they declined to comment). Lincoln has been with the show since the very beginning, playing the sheriff-turned-apocalypse leader. While his role has been rife with issues over the past few seasons - we've even been arguing that Rick needs to die in order to keep the show alive - Lincoln has been the series lead since the very beginning and it will be sad to see him go. Even if it's felt like a long, long, long time coming. It's just one of many ways The Walking Dead has seen some turmoil recently. In addition to the showrunner turnover, Rick Grimes' son Carl (Chandler Riggs) was killed off last season, and we're hearing rumours Lauren Cohan (Maggie Greene) could be next on the chopping block. Collider is claiming that AMC is courting Norman Reedus to take over as the series star, but the network declined to comment on that to us as well.